The Elite Four in Kanto are positioned within the Pokémon League to the north of Route 23 in the Indigo Plateau only accessible after you have all eight badges. This league has the classic method of you battling them in order, but after defeating them for the first time, the Elite Four can be rematched at a higher level. The first Elite Four member is Lorelei, who you previously met in Route 10. 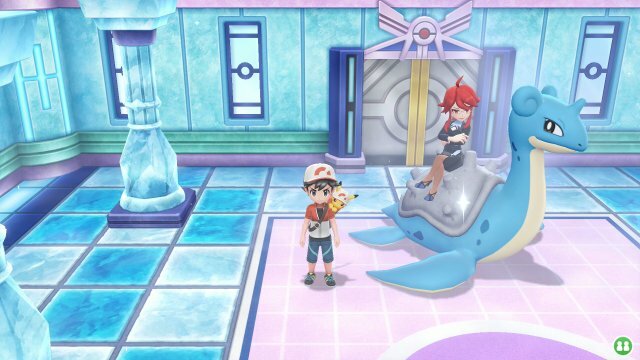 She focuses on Ice-type Pokémon with Lapras as her signature Pokémon. The second Elite Four member is Bruno who focuses on Fighting-type Pokémon, but with some inclusions of Rock-type Pokémon. 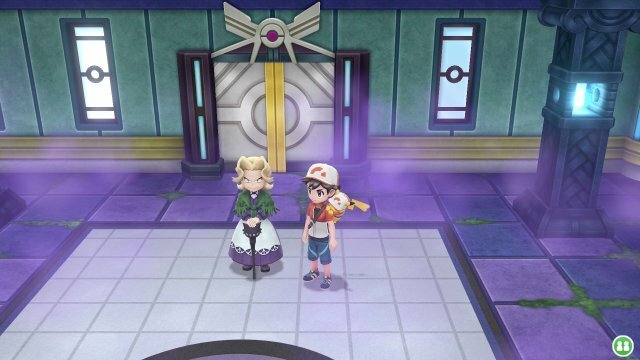 The third Elite Four member is Agatha, an old rival of Professor Oak, who focuses on Ghost-type Pokémon, but with some inclusions of Poison-type Pokémon. 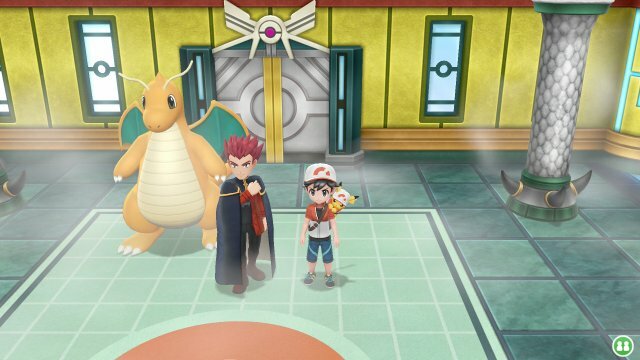 The final Elite Four member is Lance, the master of Dragon-type Pokémon, with his partner Dragonite. However, as Dragon-type Pokémon are few and far between in Kanto, he also uses various Dragon-like Pokémon including Charizard and Aerodactyl. After beating the Elite Four, you get told that you have to battle one more trainer as Professor Oak comes in. 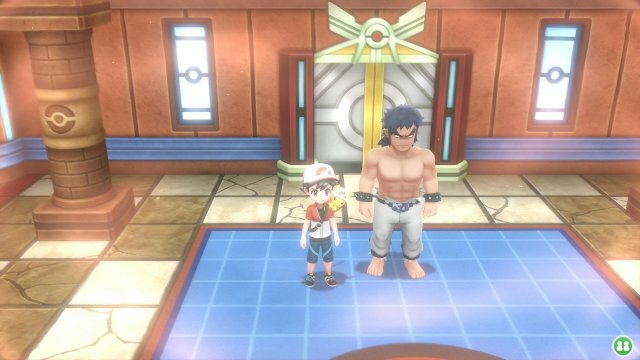 However, this trainer is not Professor Oak but is in fact your rival who managed to beat the Elite Four before you. He has a unique trump card in that his Pidgeot Mega Evolves. 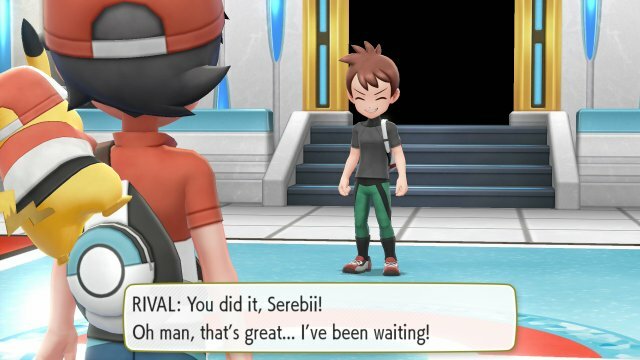 After you have completed the game, you'll be able to challenge the Elite Four again and again. This time, they have more Pokémon at higher levels and even include Alolan Forms of various Pokémon. After beating the Elite Four, once again you need to defend your title from your Rival.